I have been a big fan of Sarah from Thrifty Decor Chick for a long time. Not just her blog, but her individually. And one of her favorite people, her sister Elie, now has a blog of her own. And after seeing her post for thee yummy Cheesecake Brownies, I am pretty sure she is well on her way to being one of my new favorites too! 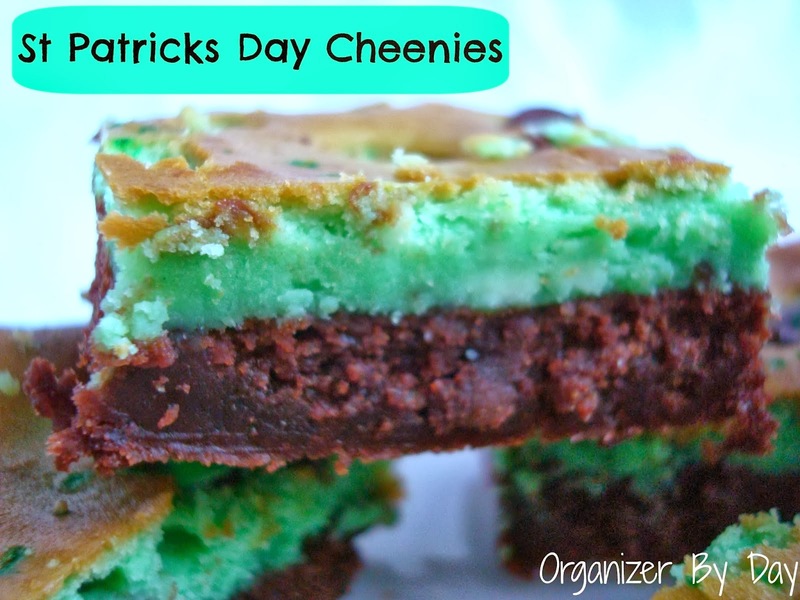 You can get the recipe for St. Patrick's Day Cheenies and check out the rest of her posts over at Organizer By Day. Check out more St. Patrick's Day treat ideas HERE. Lorie thank you so much for posting about me! My sister is pretty darn awesome :) I'm a big fan of yours as well! Hope you have a great weekend.